If you are looking to organise a squash competition and request sanctioning at any of our competition levels some of the information may be useful. 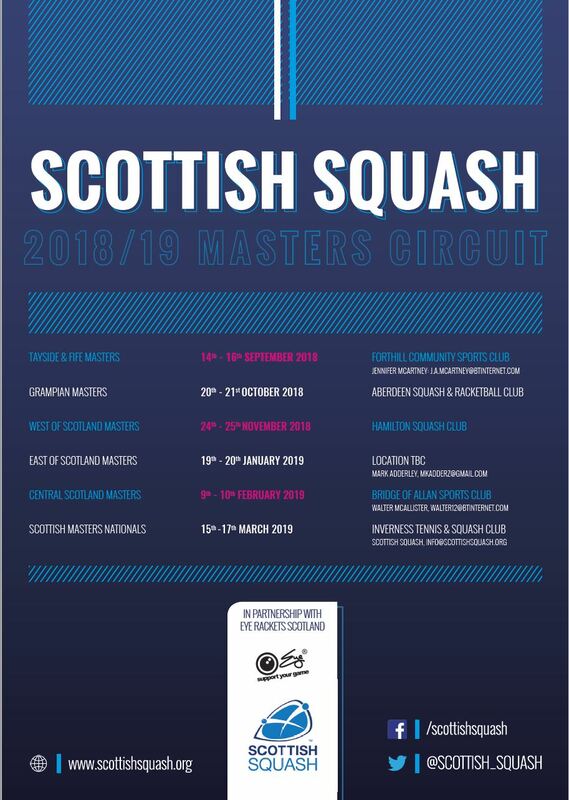 If you would like to discuss the conditions of your event further and linking this with the Scottish Squash competition pathway please e-mail info@scottishsquash.org. The below downloads will give you further information on Scottish Squash sanctioned events and support to run your event through SportyHQ, Scottish Squash’s competition management system. This document details the roles and responsibilities for all sanctioned competitions (Bronze/Silver/Gold/Regional Masters). It explains the specific role and responsibilities for both the club/region and how Scottish Squash will support. The document also explains the role and responsibilities for host clubs/regions for all Scottish Squash Platinum events. This document details all the information clubs/regions are required to know prior to applying to run a sanctioned event or applying to become the host club/region of a Scottish Squash Platinum event. This user guide takes organisers through the appropriate stages of setting-up an event on SportyHQ and everything required to be completed prior to the days the event runs. This user guide takes organisers through the steps on how to use SportyHQ to run your event during the competition days. Various knock-out and round robin draw templates which can be downloaded quickly to run tournaments on a paper based system. A poster specifically for advertising the Men’s and Women’s Scottish National League. Clubs/Regions can download this to use as they wish. How to set up a SportyHQ account? Click on ‘Create Account’ in the top right hand corner of the website and follow the on-screen instructions. This will then generate an e-mail to your e-mail address you have entered. You should open the e-mail from SportyHQ and click on the link. A new page will then open asking for you to complete further information before submitting your profile. 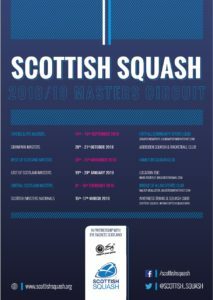 How to connect your profile as a member of Scottish Squash? When you set-up your SportyHQ profile you should have selected the club you are a member of. All clubs are automatically linked with your regional association and then the national governing body. By selecting a club in Scotland, your dashboard will then automatically display events and competitions linked to the governing body and sactioned on the Scottish Squash competition pathway.